Located on the south-western edge of Mississauga along Lakeshore Road is Clarkson Village, founded in 1808 and named after the early settler Warren Clarkson. Serving as one of the city’s oldest village communities, Clarkson Village is not only home to fantastic dining and shopping spots but also contains some historic treasures worth exploring. 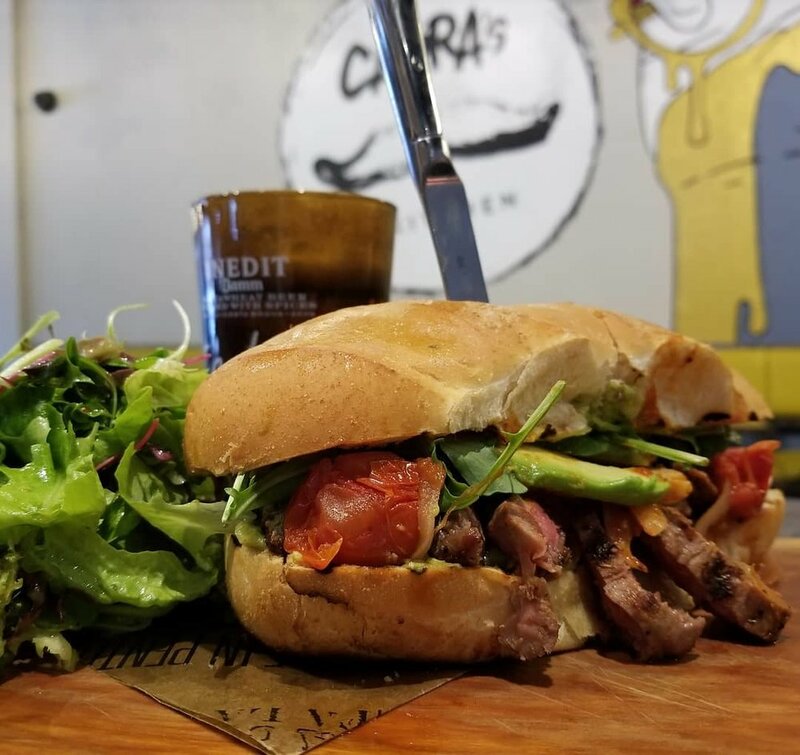 In this guide, I explore Clarkson Village by showcasing a few of the indie restaurants/pubs, businesses and natural landmarks that can be found here. However, In order to get the full Clarkson Village experience, you’ll have to come out and visit yourself. The two-acre Bradley Museum complex consists of four buildings, three of which are designated Ontario Heritage sites: the Anchorage, an early nineteenth century cottage; the Bradley House, a two-story farmhouse from the 1830s; an 1800s restored Port Credit log cabin, and a barn from the turn of the last century. The museum’s collections provide visitors with a glimpse into culture and daily life in early Peel Region history. Costumed interpretive tours, educational programs, exhibits and special events are available throughout the year. Momiji means maple leaf in Japanese, a name taken by the restaurant in honour of their adopted country, representing the coming together of two diverse cultures. Momiji Japanese Restaurant is great for casual and formal dining in Clarkson, serving quality sushi & sashimi a la carte, sushi pizza, teriyaki and other bountiful Japanese cuisine (ranging in price from $8 to $30). Containing over 165 years of history, this picturesque Georgian-style estate is an exquisite example of early 20th century living and culture in the area. 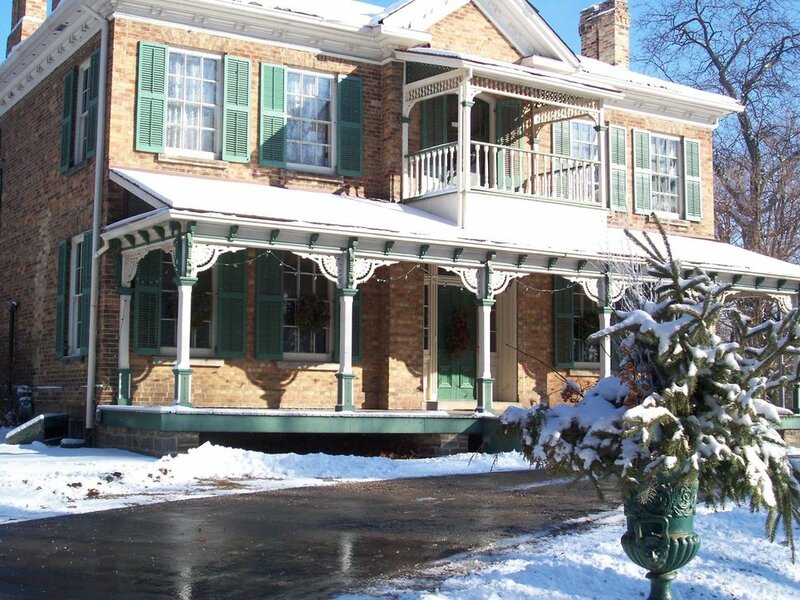 Filled with elegant artifacts original to the house, like letters and photographs, Benares House gives visitors a look into the World War One era. The site houses an interpretive gallery and an exhibition gallery with rotating exhibitions and displays throughout the year. Capra’s Kitchen is a casual modern urban restaurant, serving antipasto, pasta, pizza and more for lunch and dinner seven days a week. Brunch is served on Saturdays and Sundays. Capra’s food is sourced locally whenever possible and they also use high quality ingredients from Italy and Canada. Try their seafood pizza, caprese ravioli, or the red beet risotto. Additionally, Capra’s menu also features some delectable sweets like tiramisu and affogato al caffe, which are made in house. Opened in the fall of 2005, Solstice Restaurant & Wine Bar is a modern style Italian cuisine resto in Clarkson, serving lunch and dinner. At Solstice, they take their own twist on continental classics and feature an immense rotating wine selection. The menu is full of variety, offering numerous pastas, sandwiches, pizzas, risottos and salads, ranging in price from $7.95 to $35.95. Currently, Solstice is hosting a special seafood festival menu. Nestled right on the waterfront, Jack Darling Park is a spacious and diverse outdoor area with wonderful beaches. It’s the perfect destination to gather in the picnic areas, explore the shoreline of Lake Ontario, or take your dog out for some outdoor fun in the leash-free zone. Other amenities include playgrounds, tennis courts, a toboggan hill and multi-use trails enclosed by beautiful scenery and amazing views.